Lower urinary tract symptoms (LUTSs) are common neurological sequelae of stroke, which negatively impact the mortality of patients with stroke and the quality of life of both patients and their caregivers. There are three hierarchical micturition centers: the sacral spinal center, subconscious structures, and conscious structures. Several brain imaging modalities for micturition studies on humans and animals and neuroanatomical studies on animals have facilitated a better understanding of LUTSs. The urodynamic findings in patients with stroke may vary and tend to evolve with time; the identification of the underlying cause of poststroke voiding dysfunction helps optimize the management of these patients. For patients with stroke with overactive bladders, the first-line treatments include behavioral therapies and the second-line therapies include the use of drugs. Intermittent or indwelling catheterization can be used for patients with stroke with detrusor underactivity. In this article, we discuss the current consensus, relevant assessment modalities, and management of LUTSs in patients with stroke. Objective: Erectile dysfunction (ED) is a major complication of radical prostatectomy. 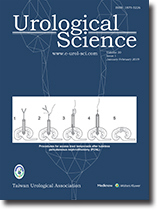 Despite advances in surgical techniques, the postoperative continence and potency rates are still not satisfactory. Many studies have reported experiences with penile rehabilitation using tadalafil for patients receiving nerve-sparing robotic-assisted radical prostatectomy, but similar reports are still lacking in Taiwan. Patients and Methods: We collected 163 patients that had undergone unilateral or bilateral nerve-sparing robotic-assisted radical prostatectomy from January 2013 to December 2014 in Tungs' Hospital. One month after operation, 5 mg tadalafil once daily was prescribed for 54 patients whose Foley's catheter had been removed and who had ED. We recorded the International Index of Erectile Function (IIEF-5) score at the 12th month after surgery. We defined postsurgery IIEF-5 ≥22 as potency or no ED. We compared the differences in clinical parameters and postsurgery potency rates between patients with or without tadalafil treatment. Results: The postsurgery potency rates of those with tadalafil treatment were significantly higher than that of those without tadalafil treatment (55.6% vs. 32.1%) after a 1-year follow-up observation. The mean (standard deviation) of IIEF-5preamong those with and without tadalafil treatment was 21.3 (4.5) and 19.2 (4.2), respectively. There were no significant differences in baseline clinical condition parameters between patients with potency with or without tadalafil treatment. The results indicated that the tadalafil-treated patients had a higher odds ratio (OR) of potency (adjusted OR = 2.58, 95% confidence interval [CI] = 1.28–5.22) than the nontadalafil-treated patients. However, those ≥65 years old were associated with a lower potency rate (adjusted OR = 0.94, 95% CI = 0.89-0.99). Conclusion: Starting penile rehabilitation with tadalafil 5 mg daily 1 month after nerve-sparing radical prostatectomy is safe for patients. 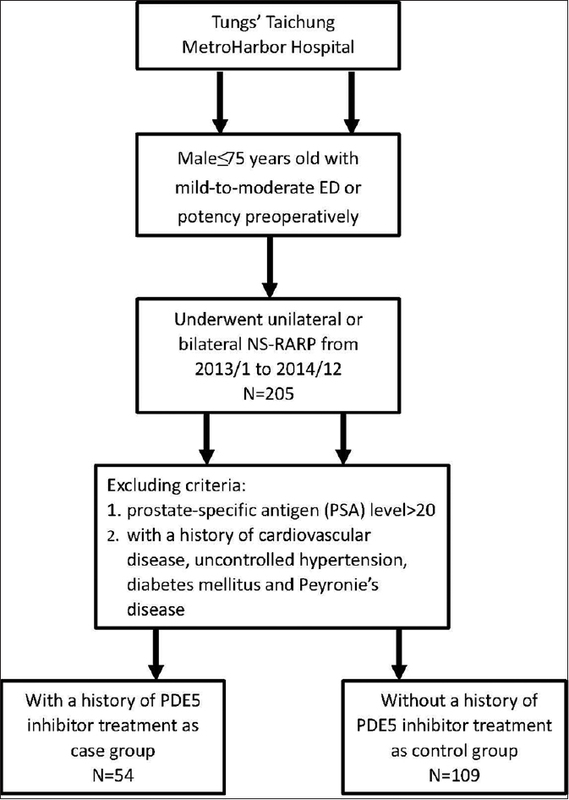 Patients with mild-to-moderate ED should use tadalafil 5 mg daily after receiving nerve-sparing robotic-assisted laparoscopic prostatectomy due to its significant benefit in erectile function recovery. Background: The objective of this nationwide observational study was to report the rate and risk factors for the second repair after pediatric inguinal herniorrhaphy. Materials and Methods: Children born from 1998 to 2005 were chosen from a cohort of 1,000,000 cases, which were randomly selected from an insured population of 23 million people in Taiwan (Longitudinal Health Insurance Database 2005). 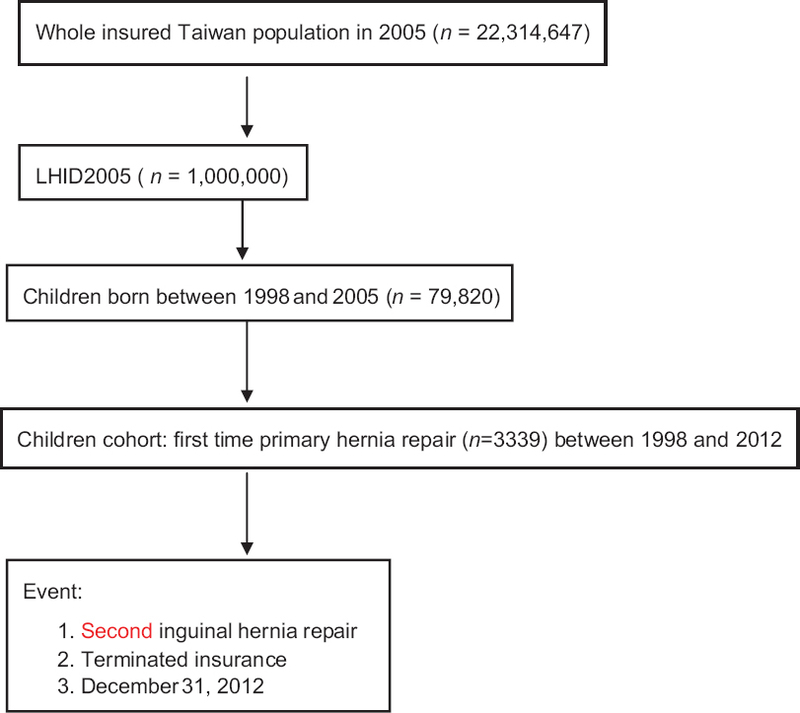 We identified all hernia repairs in the period of 1998–2012 for the sample population and then used a Cox proportional hazards regression model to analyze the risk factors for the second repair after pediatric inguinal herniorrhaphy. Results: The total sample population comprised 79,820 children, with a male-to-female ratio of 4.27:1. During a mean observation period of 11.4 ± 2.2 years, 3339 (4.18%) of the children in the sample population received primary inguinal hernia repair. Of the 251 children (7.52%) who underwent a second repair, 220 were boys (8.13%) and 31 were girls (4.9%); 244 (8.62%) underwent primary unilateral hernia repair, and 7 (1.38%) underwent primary bilateral hernia repair. Considering that bilateral hernia involves unilateral hernia on two sides, the expected recurrence rate after primary unilateral hernia repair was calculated as 0.69%. The calculated rates for late occurrence of contralateral hernia after primary unilateral hernia repair were 11.04%, 7.73%, and 3.28% for children aged 0–1, 1–4, and >4 years, respectively. Significant risk factors for second hernia repair were age at first primary hernia repair and unilateral hernia (P < 0.001). Gender and prematurity were not risk factors for second hernia repair. Conclusions: The second repair rate after primary unilateral or bilateral hernia repair was 7.52%. The only risk factor that predicted the second repair was age of <4 years at the time of operation. The expected recurrence rate after any hernia was estimated as 0.69%. Objective: Pheochromocytomas are catecholamine-producing neuroendocrine tumors arising from chromaffin cells of the adrenal medulla or extra-adrenal paraganglia. There is no large-scale study in Taiwan at present. Our retrospective analysis was focused on clinical characteristics of Taiwanese patients with pheochromocytoma. Method: We retrospectively reviewed 48 patients who were pathologically proved as pheochromocytoma at the Kaohsiung Veterans General Hospital between Jan. 1990 and Jan. 2014. Parameters including patient and tumor characteristics, clinical presentation, treatment and long-term followup results were collected from the medical records. 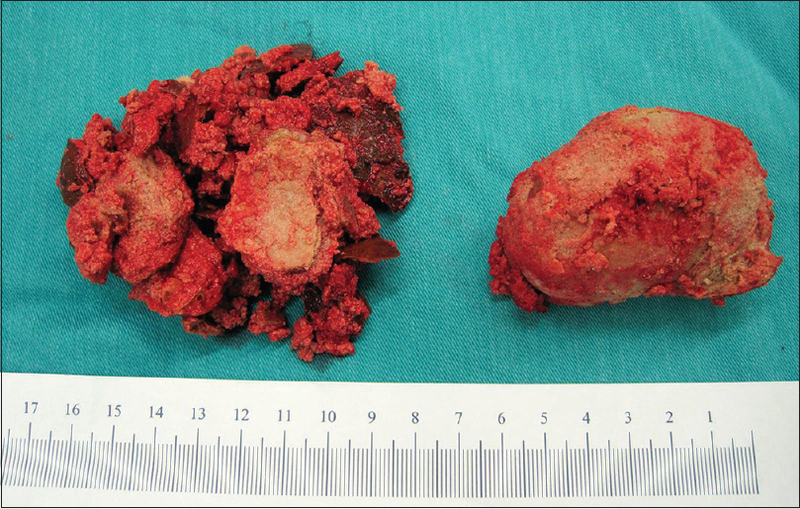 Metastasis was confirmed by pathologic proof using surgical removal or percutaneous biopsy. Result: Thirty-one patients (64.5%) had adrenal and 17 (35.4%) had extra-adrenal pheochromocytoma. 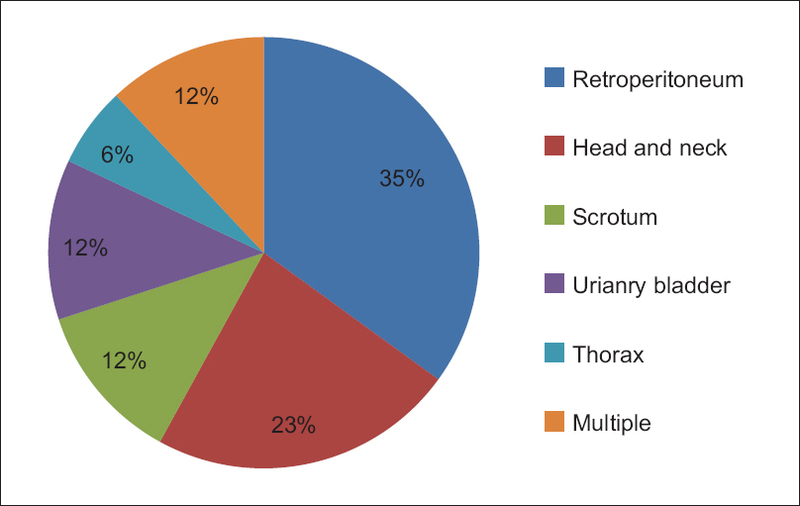 The locations of extra-adrenal pheochromocytoma included the retroperitoneum in 6 patients (35%), head and neck in 4 (23%), scrotum in 2 (12%), urinary bladder in 2 patients (12%), multiple organs in 2 (12%), and mediastinum in 1 (6%). The most common symptom was sustained hypertension (52%). Five patients were diagnosed as malignant pheochromocytoma due to pathologically proved metastasis. Conclusion: Pheochromocytomas are rare neuro-endocrine tumors with a highly variable clinical presentation. Prompt surgical removal of pheochromocytoma ensures a better prognosis. Radical surgical removal of tumor with vigorous control of blood pressure is the mainstay to improve symptoms and survival for malignant pheochromocytoma. Multi-center and large-scale studies were warranted and Lifelong followup is strongly recommended for all patients with pheochromocytoma. 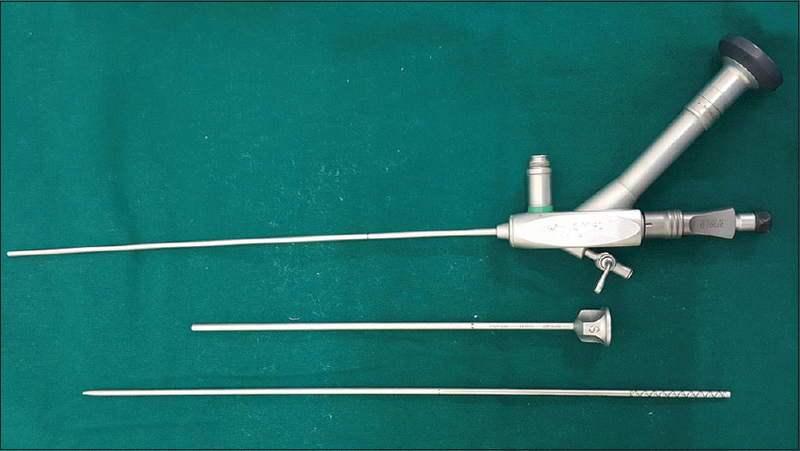 Objective: This study was conducted to evaluate the efficacy and safety of Miniperc (MIP) XS (7.5 Fr) nephroscope in the treatment of renal stones up to 20 mm. Methods: This was a prospective study that enrolled 65 patients with limited stone burden in calyx or pelvis, which were treated with MIP XS. Primary outcomes included stone-free rates (SFRs), operative time, length of postoperative hospital stay, requirement of analgesic postsurgery, decline in hematocrit, stent requirement, and complications and requirement of ancillary procedure. Results: The mean stone size was 17.46 ± 2.9 mm. 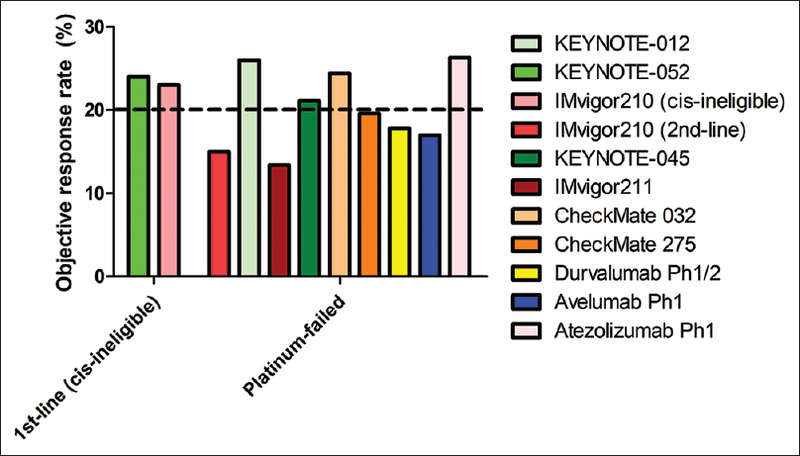 The patients were treated with MIP XS and had a mean operative time of 38.63 ± 8.4 min, 1.74% drop in hematocrit levels postsurgery and 96.9% SFRs. The length of hospital stay was 55.48 ± 4.6 h. Postoperative fever and nephrostomy leakage occurred in 9 and 1 patients, respectively. Six cases required some drainage procedure (double-J stent/nephrostomy). No patient required blood transfusion. Conclusion: This study showed that MIP XS could be considered as an effective treatment option in the treatment of renal stones up to 20 mm as it scores in all the standard parameters used to measure percutaneous nephrolithotripsy outcomes.